Library visitors are expected to monitor their belongings, especially valuables, at all times while using library facilities. Lost & Found items at the Library are temporarily kept at the Circulation Desk on the 2nd Floor of the Library. If the items are not claimed after 24 hours, they will be turned over to Ryerson Student’s Union Lost & Found. Possibly Stolen? 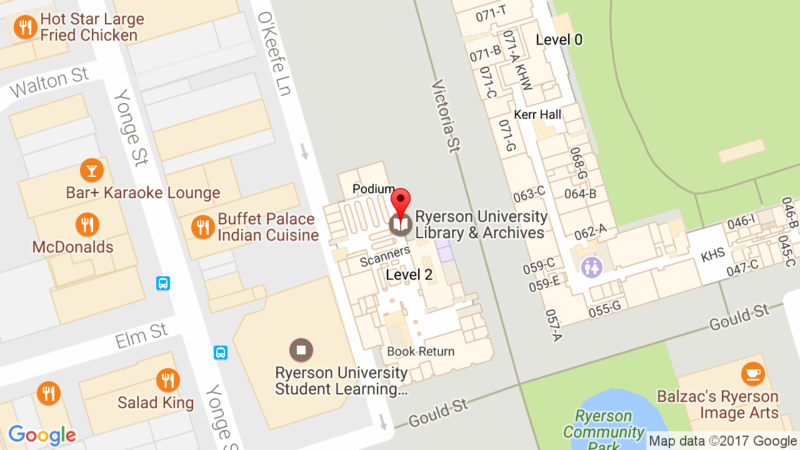 If you’ve lost a laptop computer or other expensive electronic device, and realize it right away, call Ryerson Security to file a possible theft report. One Card: Unclaimed cards will be transferred to One Card Office.